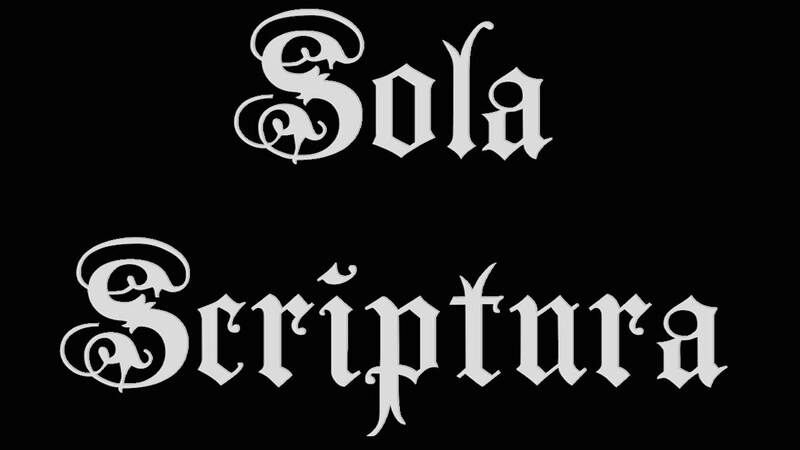 stylos: Is "sola Scriptura" a Reformation slogan? I’m still working my way through Robert Letham’s Through Western Eyes: Eastern Orthodoxy: A Reformed Perspective (Mentor, 2007). It includes an intriguing chapter comparing Orthodox and Reformed views on Scripture and tradition (pp. 173-198), in which Letham notes confusion, on both sides, about the term sola Scriptura. Letham’s point is that the popular modern concept of sola Scriptura as a “right of private interpretation” was not a Reformation principle (see pp. 194-195). He adds: “To categorize Reformed theology as individualistic, with no doctrine of the church, is an error of monumental proportions” (p. 195). See similar reflections in Keith Mathison’s The Shape of Sola Scriptura on the difference between the Reformers’ view of sola Scriptura and modern individualistic evangelical view of what he calls “solo” Scriptura. In this year of the 500th anniversary of the Reformation, many discussions on various points of Reformed theology and practice are surfacing. I noticed that the May 26, 2017 issue of Christianity Today has an interview with church historian Mark Noll titled, “The Freedom and Chaos of Sola Scriptura” (BTW, I do not, in fact, subscribe to “Christianity Yesterday,” as some derisively call it, but take a look at it, as well as the mainline The Christian Century, from time to time when I visit the central library, and I just happened to thumb through this issue last week). That article begins its discussion of the slogan by noting, “It has been a hallmark of Protestantism for 500 years….” That may be true of the concept but Letham suggests that the actual slogan does not go back that far. In fact, this slogan cannot be traced back to the sixteenth century; it was a much later concoction. Its intention was not to suggest that only the text of the Bible was acceptable. Indeed, the Reformers produced a wide range of new catechisms and confessions…. What they taught was that the Bible is the supreme authority, and sits in judgement on the teaching of the church, not vice versa (p. 175). This is often taken to mean that the Bible is to be the only source for theology. It is almost universally claimed that it is one of the central pillars of the Reformation. However, there is not evidence of such a slogan in the entire sixteenth century. It is probable that it did not put in an appearance until the eighteenth century at the earliest. Contrary to so much hot air, it is not a Reformation slogan. When it was coined it was held to affirm that the Bible is the highest court of appeal in all matters of religious controversy, which is what the Reformers and their successors actually held. First, historically, the exact term or slogan sola Scriptura was not, in fact, coined in the sixteenth century but in the eighteenth century (though Letham does not suggest who first coined the term—that would be interesting to know). Second, theologically, the Reformed concept of sola Scriptura does not champion “private interpretation.” It also does not suggest that the Bible is the only source for theology but that it is the standard by which theology is rightly understood and evaluated.